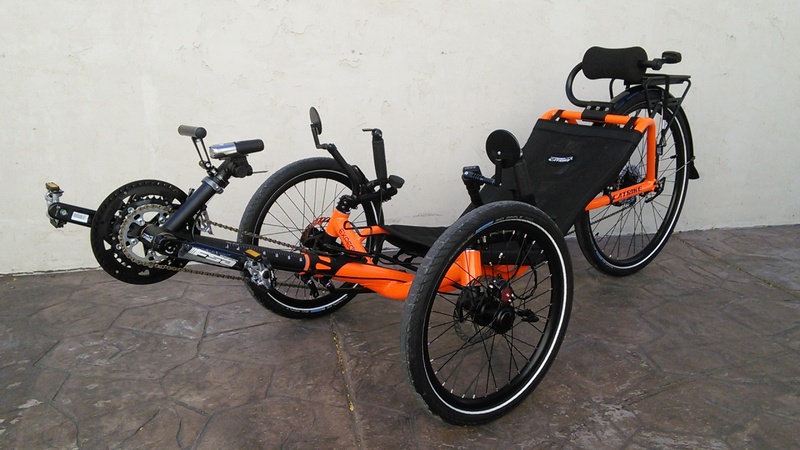 Our most popular adult trike, the Catrike Expedition is a Sport-Luxury recumbent trike with a wide track and long wheel base. 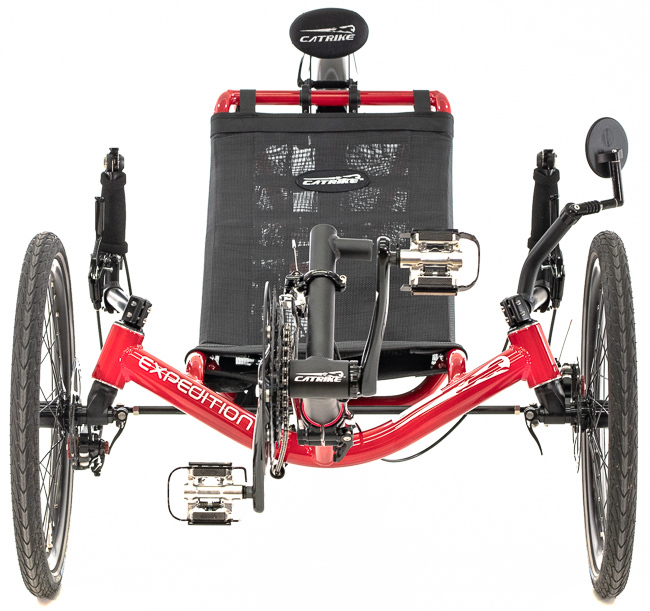 Great for long distance touring, the Expedition is a fast machine with a wide gear range. 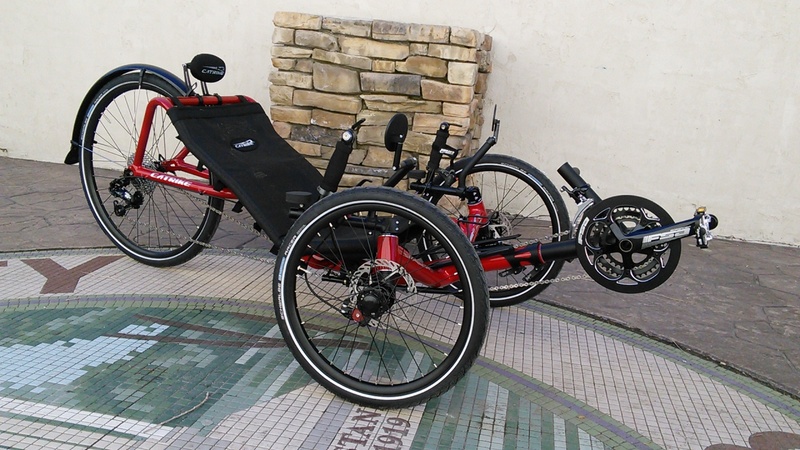 The Expedition can also be a comfortable racer. Just throw some fast tires on it and bring the speed up. 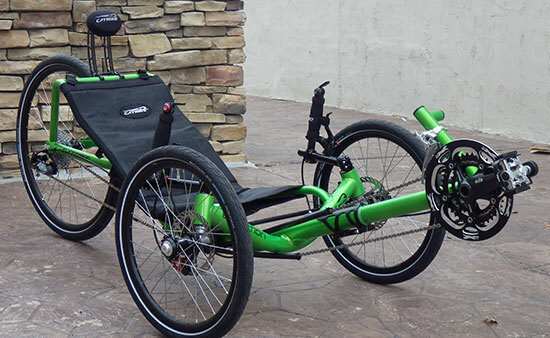 Take a look at our Expedition recumbent trike builds and you'll get the idea. 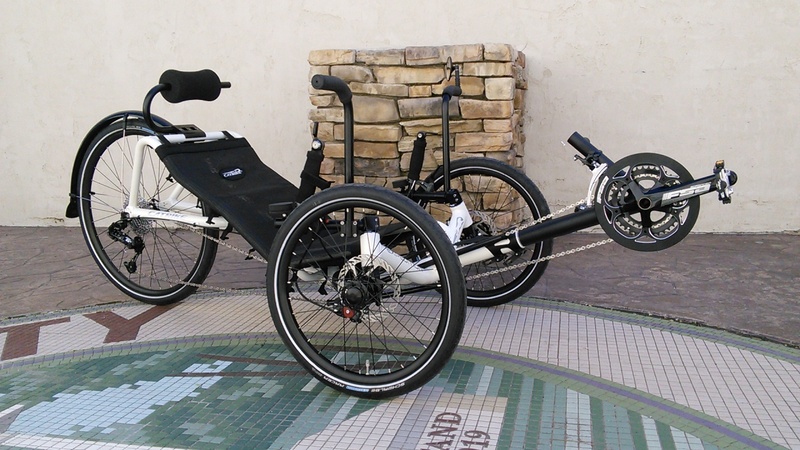 The Catrike Expedition comes stock with the FSA Gossamer triple crank up front and Catrike's adjustable boom. We have many different gearing options available. Use our configurator above to see what options are currently available. 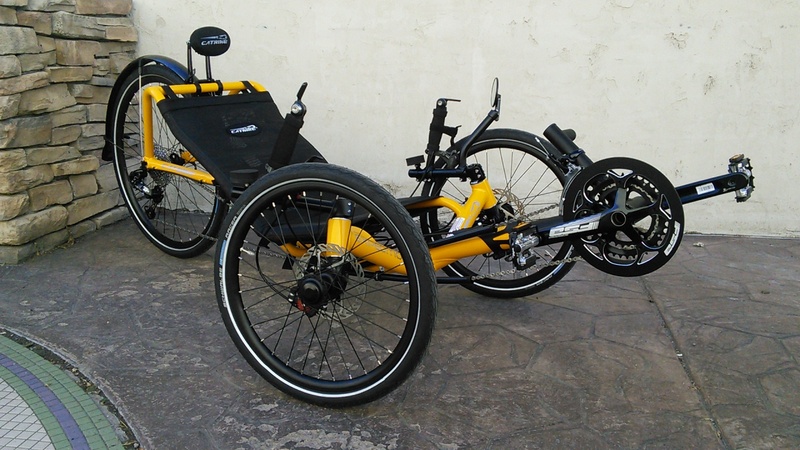 We have plenty of rear gearing options available as well. 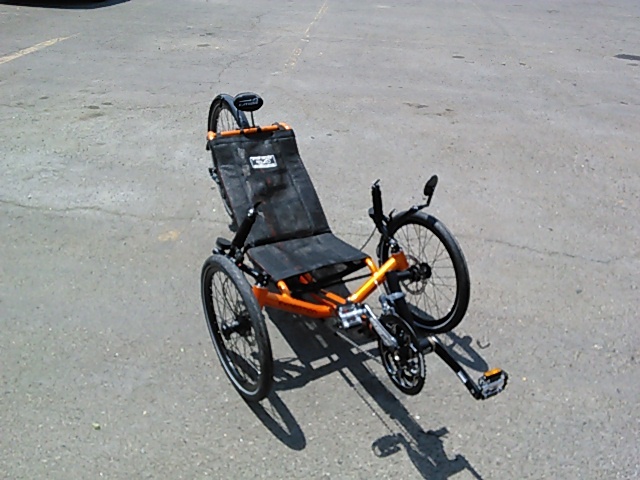 We are building more and more electric trikes and the Catrike Expedition is a great candidate for a motor. 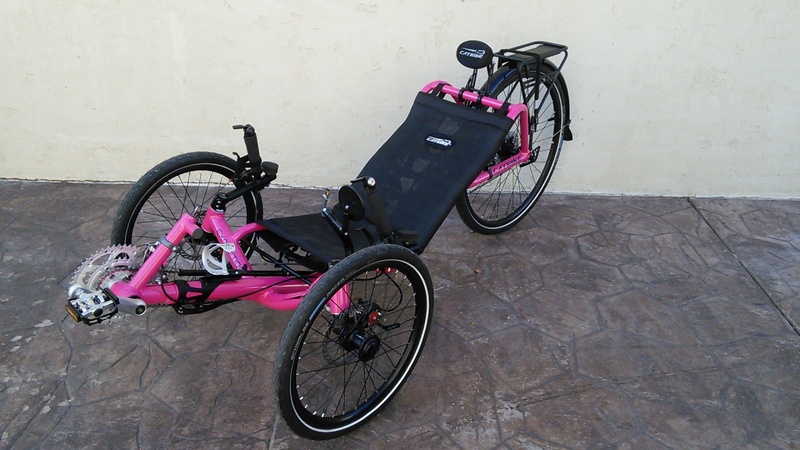 All of our motor kits allow you to choose the level of assist you want. 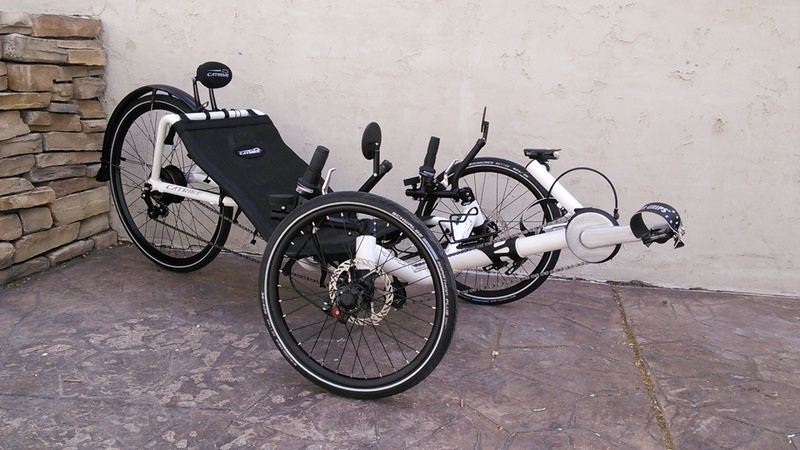 That means that as you pedal the motor kicks in automatically providing additional power to your own pedaling efforts. We also provide a thumb-actuated throttle with our motor systems that act like the gas pedal in your car. Don't want to pedal? No worries, just push the throttle and go!